With summer firmly upon us, the cocktails have been flowing for us recently! But now we had the opportunity to make our own at Japanese restaurant, Shoryu, in Piccadilly. 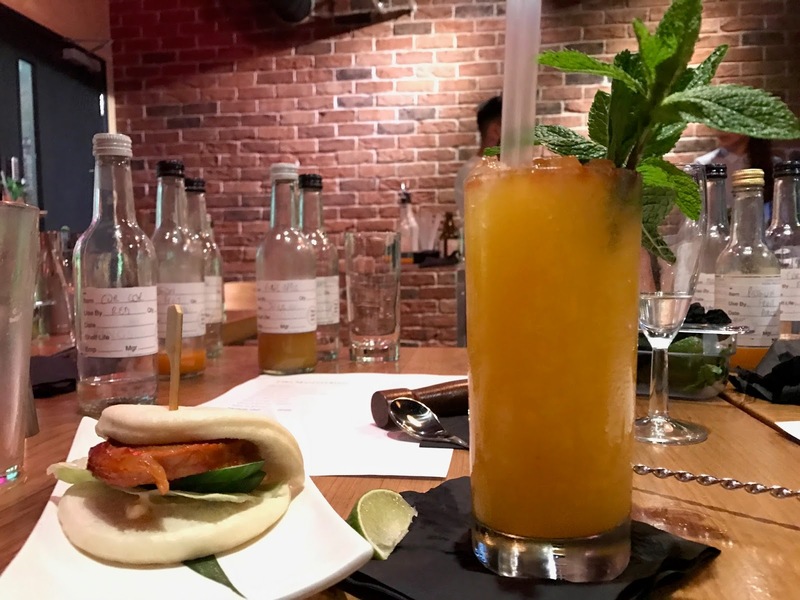 We wouldn’t be making what us English would know as the typical tipple however, as they would all be Tiki inspired and including a rare Japanese rum. After an introduction of the story behind the drinks we were about to make, we had a try of the extremely strong Cor Cor Red Japanese rum. This rum is brand new to the UK, and only available in certain Japanese restaurants. Not widely known to the British public as of yet, it has a mix of fruity and spicy tones, and only a maximum of 15ml is recommended in each drink, due to it’s sharpness and strength. 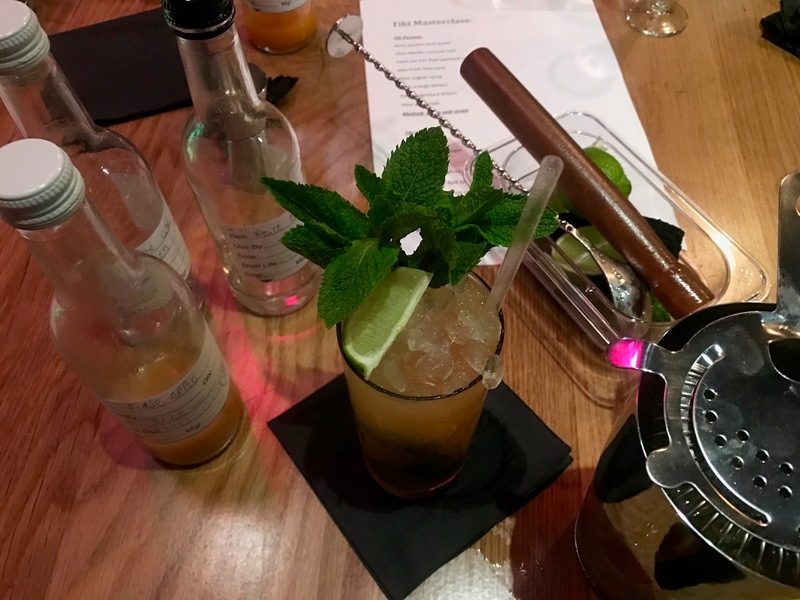 This rum was the focus of this masterclass, and before long we were being shown how to create and mix the first cocktail – the Tiki Passion. 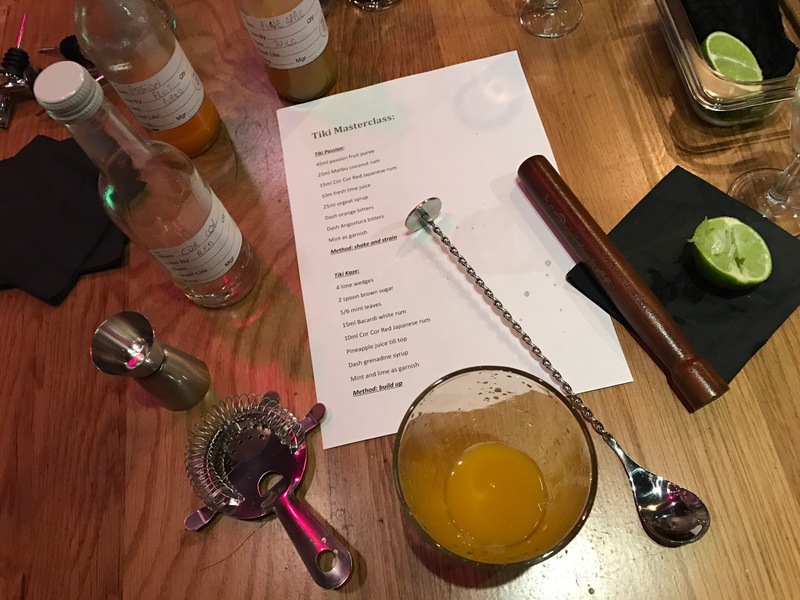 We were each provided with all of the proper cocktail making equipment, from shakers to strainers, and away we went. Once we had all of the different components in our glasses, it was time to fill with ice and shake away. The result was so refreshing and in all honesty, we were both so proud of how it went! To have alongside the cocktails we had just made, out come pork buns from the the restaurants kitchen. It was the perfect pairing! James preferred the first drink due to the more fruity taste, whilst Jessica liked the second drink more – the Tiki Kaze. We’ve made shaken cocktails before, but this is the first time we’ve made a cocktails using the build up method. The build up method requires more effort in squeezing the limes, and adding mint and sugar. 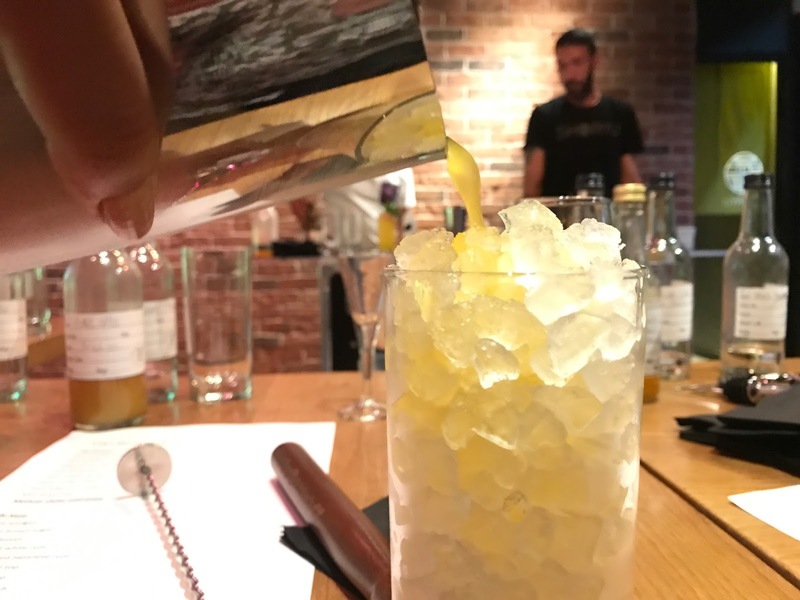 One of the interesting things we’ve learnt about making cocktails is the ice itself. We always believed that adding more ice was just so it makes it look like there’s more drink, but the actual reason is as they pour in the liquor, the ice melts quicker and makes it more watery in the long run with less ice. We had an absolutely fantastic time at the masterclass, and now you can attend one too! You can find more information and buy tickets for the next event on Thursday 29th June 2017 here. A big thank you to Shoryu for inviting us along. We’ll be back soon to try out the restaurant menu which looks amazing! Disclaimer: we were invited to this event in exchange for a review. But as always, all our opinions and photos are our own. You are killing it with the cocktail content! I had my first Pimm's of the year last night, it was soooo good. I know I'd love a masterclass like this. Oooh, it sounds so good! I love anything citrus so these sound perfect. 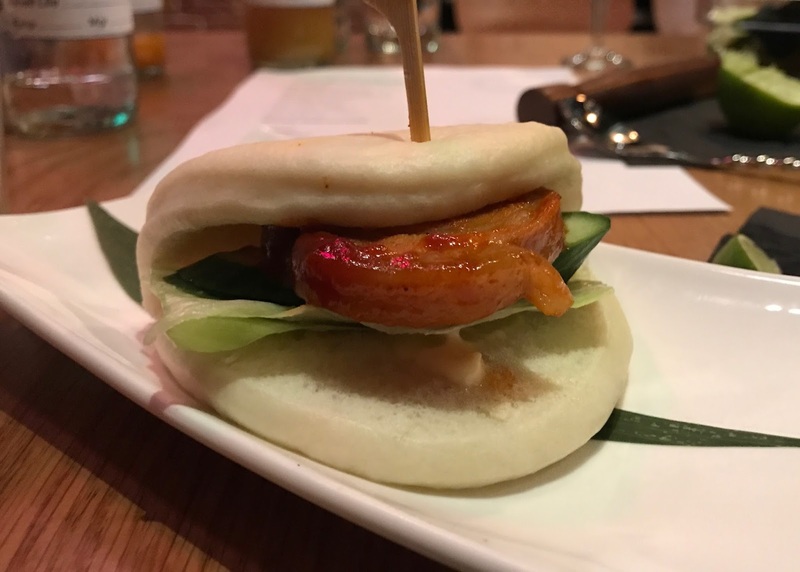 The pork bun looks great too! I'm hopeful that Japanese Rum is up and coming here in the UK; it's got exciting and interesting flavours. However, knowing the UK market, anything too strong may prove too much outside of a bar environment. Some of the Japanese I've tried are enough to knock you off your seat.